A decade ago, the man who brought Starbucks to the world was routinely appalled when people compared his speciality coffee chain to McDonald’s. Howard Schultz always thought he was classier than that. These days, though, he is not messing about. On Monday, just hours after a news report announcing McDonald’s intention to sell high-grade espresso drinks in 14,000 of its outlets, Mr Schultz fired his chief executive. It’s been a lousy year all round for the Seattle-based coffee giant, with the number of store transactions down in the fourth quarter of fiscal 2007 for the first time in the company’s history and the share price taking a pounding, down almost 50 per cent in value over the past 12 months. The competitive threat from the world’s largest burger merchant was merely the last straw. Mr Schultz then decided to resume the top job himself – after a break of almost eight years – and gave a long, rambling conference call to investors and reporters outlining a five-point plan to restore Starbucks’ fortunes as both a corporate powerhouse and a cultural icon epitomising the caffeine-fuelled lifestyle of the globalised 21st-century world. 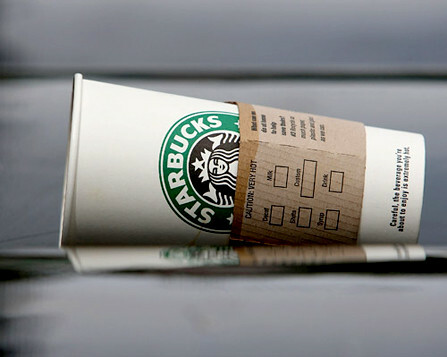 The problem, as company insiders now freely acknowledge, is that Starbucks has become altogether too much like McDonald’s – over-automated, ubiquitous and impersonal – while still charging premium prices for its skinny decaf lattes and frappuccinos. That’s not good for the company’s image, and it’s not good for business. This was a moment analysts and rank-and-file coffee drinkers assumed must surely come. Starbucks has enjoyed more than 15 years of dizzying expansion, first doing its part to introduce Americans to coffee that is more than just warm and brown; then establishing its outlets – with their casual seating, soft music, newspapers and sui generis vocabulary – as a sort of “third place” between work and home; then finally, over the past decade or so, attempting to take over the world. Already in the late 1990s, American popular culture was poking fun at the place. An episode of The Simpsons imagined an entire shopping mall in which every outlet was a Starbucks, while the Christopher Guest film Best In Show (2000) featured a couple who had met in Starbucks – two different branches, across the street from each other. Such scenarios no longer seem quite so ridiculous. In Seattle’s Pike Place Market, site of the original Starbucks bean retail store, one building features three separate Starbucks outlets. The chain, or its coffee, is in airports, planes, shopping malls, hotel lobbies and conference centres. The ubiquity has had a knock-on effect on quality and customer service. You can’t open seven new stores a day without cutting corners on atmosphere, employee training and even the quality and presentation of the coffee itself. The outgoing chief executive, Jim Donald, focused heavily on expansion. Mr Schultz now says he plans to focus more on improving the existing branches, especially in the United States, while ramping up Starbucks’ foray into foreign markets, especially in China. This is not a recent realisation. In a Valentine’s Day memo to Mr Donald leaked to a Starbucks gossip website last year and later confirmed as authentic by the company, Mr Schultz openly bemoaned the loss of the “romance and theatre” he had always tried to inject into the company’s outlets. He was particularly concerned about the switch to automated espresso machines and pre-bagged coffee beans, which he said gave customers no clue that the company actually roasts its own beans. The fact that customers no longer saw employees handle the beans and grind them before their eyes robbed them of both a key visual and aromatic pleasure and depersonalised what he called the “intimate experience with the baristas”. The stores, he concluded, “no longer have the soul of the past”. In other words, Starbucks is no longer the sort of place you might want to spend a good chunk of the day with a laptop, some books and perhaps the company of a friend or two; it’s just another place to pick up a cup of joe. And that’s where the competitive threat comes in. Starbucks’ “third place” concept has been successfully copied, and enhanced, by other chains and independent cafes which might now include a full library of books, say, or free wireless internet access, or open-mic music and comedy. The just-another-cup-of-coffee concept, meanwhile, is ripe for competition from the fast-food chains, not least because, in the United States, they charge 60 to 80 cents less per cup. McDonald’s has been steadily sprucing up its stores over the past six years, introducing sofa seating and Wi-Fi and making its outlets ready for fresh-ground coffee. Wise heads in the coffee business still feel this should not pose a competitive threat to Starbucks, because it is targeted to a different demographic. As Mr Schultz retakes the executive reins of his empire, it will be his job, first and foremost, to make that clear distinction. Wall Street is enthusiastic about his return, and Starbucks shares have bounced upwards over the past two days. Now he has to deliver – not just coffee, but, in his words, that “superior experience”.